There’s a new cocktail bar and eatery on Maple Drive in Beverly Hills, and the employees of MySpace and surrounding internet biz office buildings are rejoicing. Valerie of Red Vines for Breakfast, Daniel of Thirsty in LA and I had the opportunity to take a sneak peak at what exactly the new cocktail program and newly-relocated kitchen at MÃ¤ni’s on Maple were up to – and I have to admit, I was completely surprised. 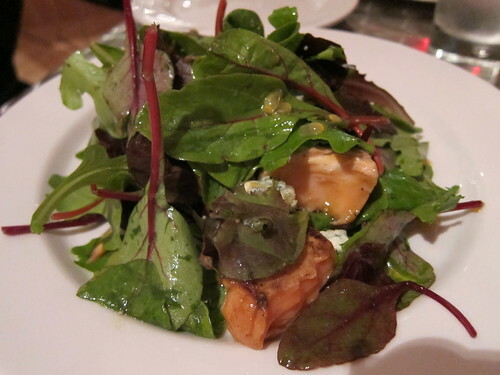 Though I never became familiar with MÃ¤ni’s on Fairfax – except for perhaps a late-night cappuccino with a friend – it seems, save for the healthful cuisine angle, there is something completely different going on at their location in Beverly Hills. Now at the site of Patina’s failed sushi experiment, Paperfish (even with its interior intact), MÃ¤ni’s is huge. And now they serve cocktails. From 3-7 and 9-11, a selection from the cocktail and appetizers menu will run only $6 each. Organic and house-made ingredients are touted, and rightfully so as whatever is sweet about the drinks is subtle andÂ natural. Of the happy hour options, my favorites were the Daquiri and Ward 8. The bites are also solid, and of all the available bites in front of me I found myself coming back to the vibrant Heirloom Tomato Bruschetta again and again. Fresh Lime Daiquiri â€“ Not the blended version so often found, this is a classic, straight-up cocktail invented outside the United States. Ward Eight â€“ Classic cocktail out of Boston, named after a famed election district. House made organic grenadine, lemon & a touch of orange with bourbon. Moscow Mule â€“ A mixture of ginger, Smirnoff and lime created in 1941 at the Cockâ€™n Bull Bar on the Sunset Strip. A classic. 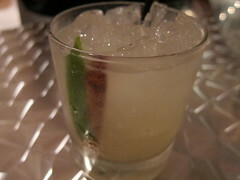 Padreâ€™s Margarita â€“ A classic, on-the-rocks margarita with a cinnamon stick, no salt. Classic Pimmâ€™s Cup â€“ Wimbledon classic with Pimmâ€™s No. 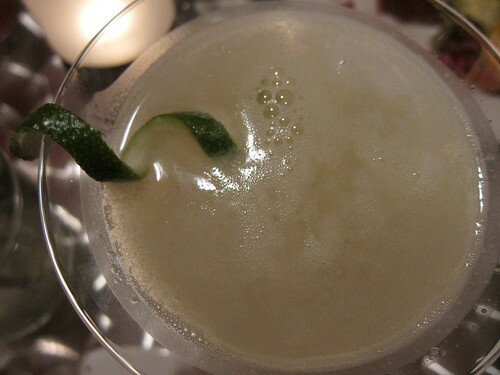 1 â€“ a gin flavored with fruits & herbs â€“ ginger ale or lemon-lime soda and cucumber. Gin RickeyÂ or Original Gin Rickey â€“ Named after famed lobbyist Joe Rickey in 1893, the Rickeyâ€™s defining characteristic is the refreshingly tart omission of sugar. The original, and the more modern with a touch of sweetness, both come up with a splash of soda. The new MÃ¤ni’s is worth checking out – especially if you’re local during rush hour or late night and can take advantage of the $6 happy hour. It’s a good chance to give their cocktail program a shot. The drinks would surprise you and won’t leave you with that sugar crash when it’s time to go home. The produce in the bites are fresh and it’s a great way to catch that light bite. This entry was posted in Beverly Hills, cocktails, Food, Happy hour and tagged $6, appetizers, Beverly Hills, breakfast, cocktails, Happy hour, lunch, Maple Avenue, MÃ¤ni's on Maple, MySpace, office, office building, pastries, salads, sandwiches, small plates. Bookmark the permalink.